For most Mariners fans, you have vivid memories a young teenager running onto the field for the first time in 1989. And today The Kid is turning 44, my how time flies. So here is a big Happy Birthday wish to everyone’s favorite Mariner, Ken Griffey Jr. On social media, be sure to wish him a happy birthday, and if you have not done so, you must follow his Instagram account (trust us on this one)! And here is another fun tidbit. Nov. 21 is also the birthday of Hall of Famer Stan Musial…and get this, both were born in Donora, Pennsylvania! What are the odds of that? Two Hall of Famers (Jr. is eligible for the HOF in 2016) born on the same day (Nov. 21) in the same small town outside of Cincinnati (49 years apart). FUN FACT: Not only do Ken Griffey Jr. & Stan Musial share the same birthday, but they also share the same birthplace, Donora, Pennsylvania! 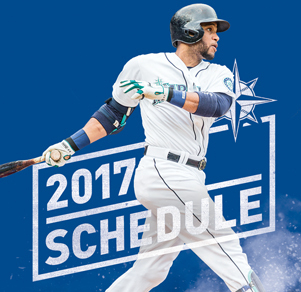 Written by MarinersBlog Posted in Uncategorized	Tagged with Ken Griffey Jr.